Secure Processing - Payment options include Debit/Credit Card, checking account, and PayPal. We accept Visa, MasterCard, Am Ex, and Discover. All prices are in US dollars. All shipping is FREE within the US. Shipping charges for international orders will be added when you proceed to checkout. All items are shipped from the US. Login now to receive your partner discount! Save on time and international shipping fees! We have MP3 / MP4 download teachings available for your convenience. Simply add the download to your shopping cart. Once your credit card is processed you will receive a link enabling you to directly download the teaching series right on to your computer. 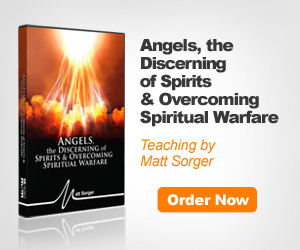 For your gift of $30.00 or more a month you will receive a FREE monthly teaching from Matt. We offer bulk order rates for all MSM products. This is great for churches, small groups and Christian bookstores. Please call the office 631-696-4950 to make your bulk order.